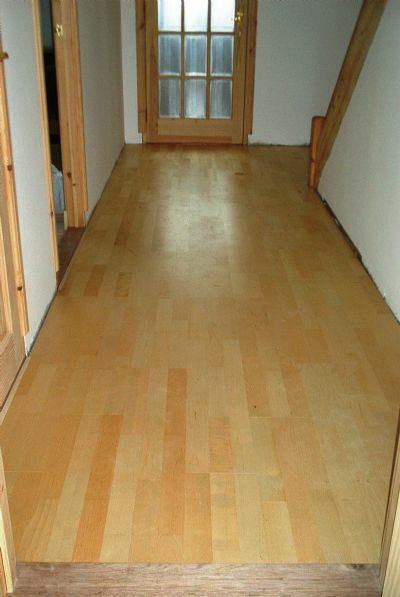 Wooden floor layed in the downstairs bedroom. Jerry even gets time to brush up after himself! 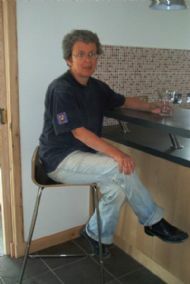 Joan test drives Sebastian - our new bar stool fresh from Ikea (of course). 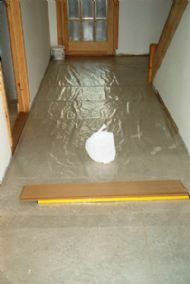 9.00 - started the floor in the hall by laying a thin polythene damp proof membrane on the sanded concrete floor. 10.00 - cut and placed 3mm underlay across the direction of the floor boards (using some boards to temporarily hold the underlay in place). 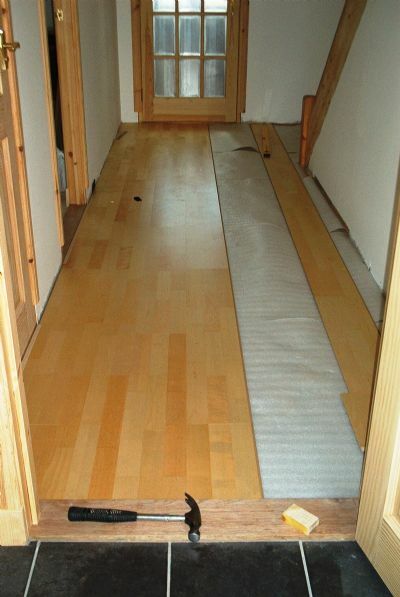 1.00 - half way there; the tricky first edge butting against the two door thresholds takes quite a while. 3.30 - Job done, just the tidying up to do now! 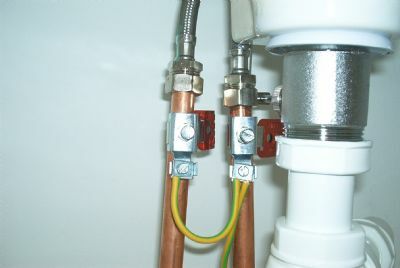 The joiners return tomorrow so we take the opportunity to do a big tidy-up and also catch up on a few little jobs like fitting the earth bonding clamps to the metal pipes in all the wet areas. Continuing the electrical theme, we fit a waterproof electrical socket on the outside wall. 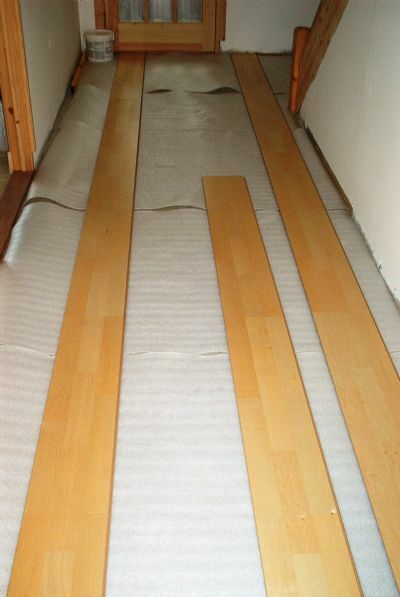 Stuart arrives and we finish the skirting boards in the hall, landing and two of the bedrooms. 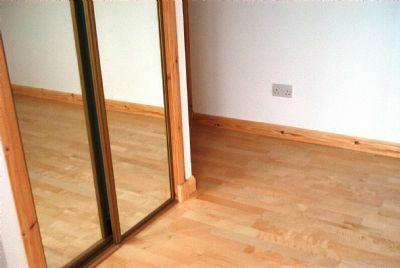 A half day tomorrow should see the other 2 bedrooms completed. 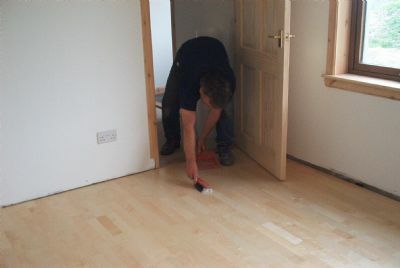 Stuart and Jerry complete the skirting boards by noon. 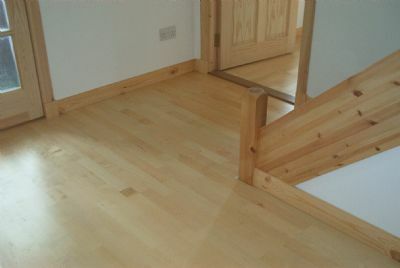 We then set-up a new broadband internet connection with a wireless network so we can now work from the new house whenever we like. 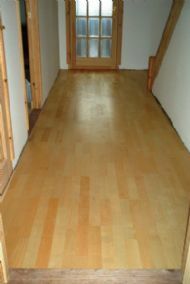 We have another comprehensive tidy up and for the first time for weeks we can see the dining room. 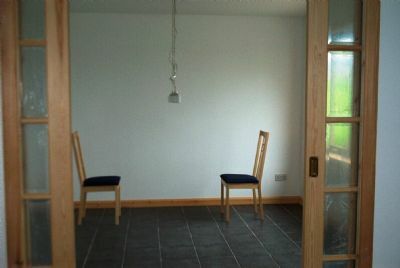 All we need now are a few more chairs and a table! Still off to Ikea again tomorrow.